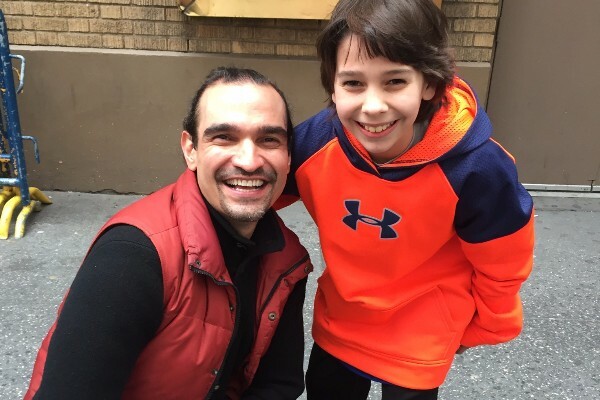 This story started months ago, when Sean Reda (Les Mis) heard the news that one of his fellow actors across the way, Javier Munoz (Hamilton) had struggled with Cancer. Wanting to help, Sean collected money from his fellow castmates to give to Javier to donate to a Cancer Organization of his choice. Upon talking they decided that they would raise money to donate in both Sean and Javier's name to the Pediatric Brain Tumor Foundation. The money collected here will go towards helping kids living with Brain tumors and their families. Thank you so much for all the support and love. This young mans dream of helping the world is nothing short of inspirational. Sean Reda is a wonderful, caring young person. I'm happy to spend time with him backstage.